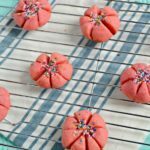 All too often, my kids want to make cookies and I struggle with something quick and easy we can make to satisfy their sweet tooth. 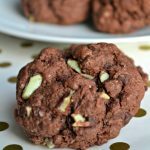 I recently tried out this Three Ingredient Cake Mix Cookie recipe and discovered they are so easy to make and so tasty!! 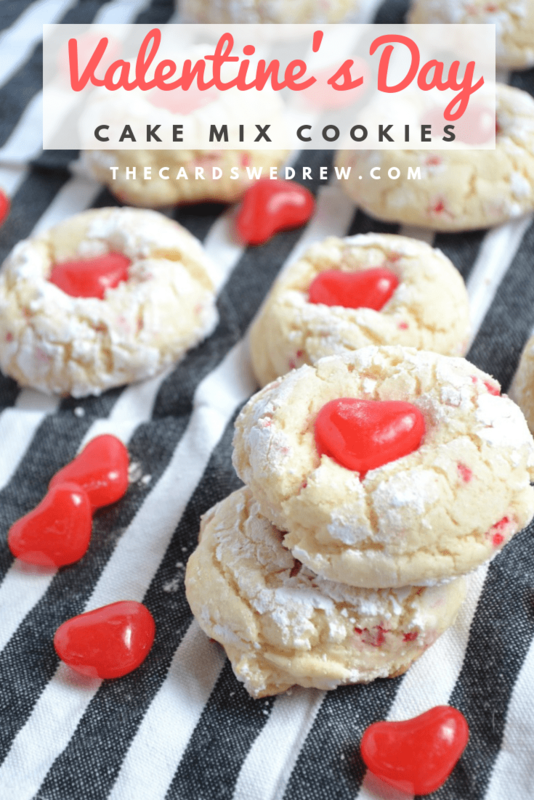 You may have tried similar cake mix Christmas cookies, but today I want to show you how to take your favorite pillsbury cake mix cookies and turn them into Valentine’s Day cookies everyone will LOVE! 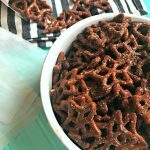 All you need for this recipe is your favorite cake mix. You can do Chocolate Cake Mix Cookies, Red Velvet Cake Mix Cookies, Yellow Cake Mix Cookies, Vanilla Cake Mix cookies…it doesn’t matter, you choose! Next you simply add two eggs and 1/3 cup of oil and mix together. From there, you refrigerate your dough for at least 30 minutes. I then scoop out my cake mix cookie dough into balls and roll it in powdered sugar and place on a greased cookie sheet. Bake at 375 for 8-9 minutes. Once they come out of the oven, you top with a cute Starburst heart shaped jellybean *yes, these are nw and i found them at Target*. 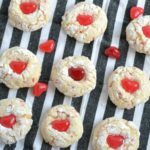 These cake mix cookies are SO easy to make and so cute and tasty. 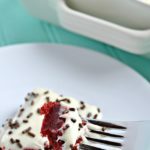 For this recipe, I used the Pillsbury Valentine’s Day cake mix, so they have cute red sprinkles in them, which I love!! Mix together cake mix, 2 eggs, 1/3 cup of oil in mixer until mixed well, then refrigerate for 30 minutes. Add 1/2 cup of powdered sugar to a small bowl and using spoon or cookie scoop create small balls of dough, then roll in powdered sugar. 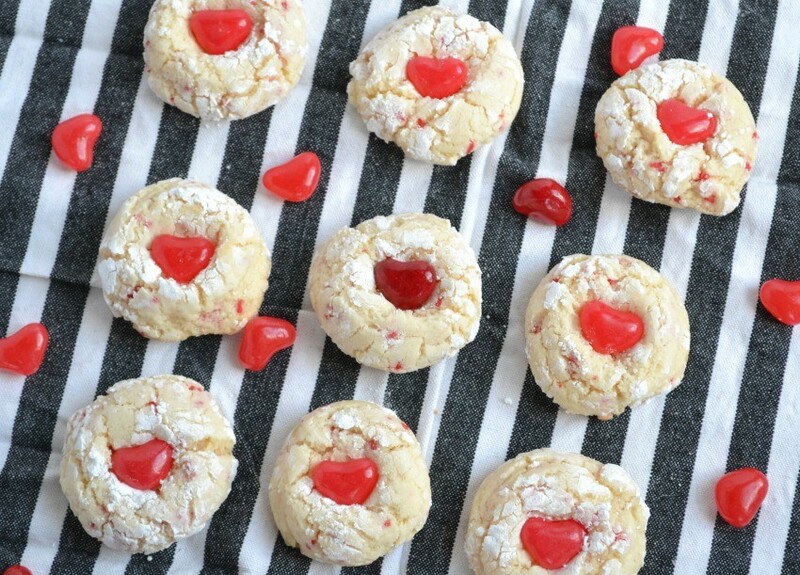 Add cookie dough balls to a greased cookie sheet (you can also just use parchment paper or a silpat instead) and bake for 8-9 minutes in the oven. 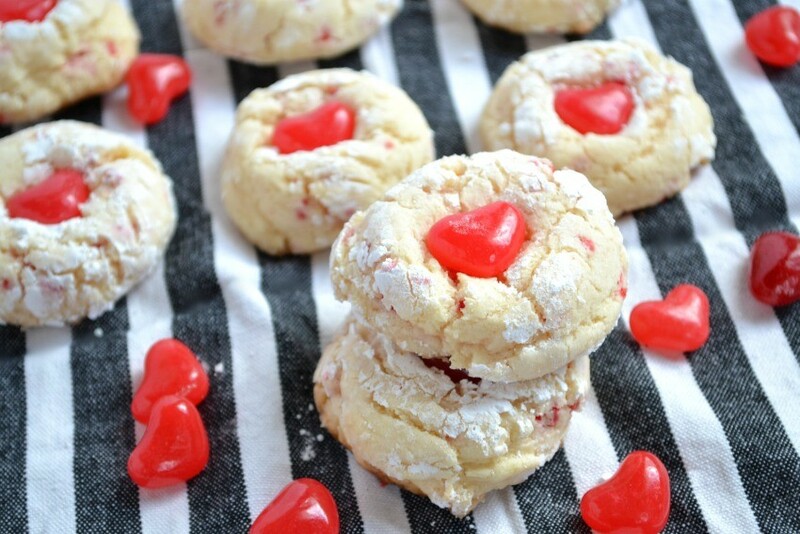 Optional: Once baked, take mini heart candies and push them gently into the center of the cookie while still warm.